Offering you a complete choice of products which include prop sleeve. 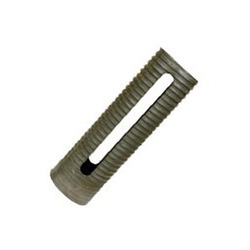 We are enlisted among widely appreciated manufacturers for our offered high performing Prop Sleeve. These sleeves find its wide application in engineering and construction industry, where high strength is required. Manufactured from rolled 4 TPI, the offered prop sleeves can be obtained from us in self finish or electroplated finish with 2.9 / 3.0 / 3.2 mm thickness specifications.